All marketing success begins with a simple principle -- know your target audience. Theme same is also applicable for the Charities and Nonprofits Marketing. A persona is an imaginary profile created by a marketer to represent a specific group of your target audience. The most effective nonprofits and charities dedicate time to creating these profiles as it helps them craft personalized communications that speak to the heart of what that target audience needs or wants. See an example persona for a nonprofit. Surveys can help you learn a lot about your target audience and develop personas. A stay-at-home mom who prefers to give time instead of money to your organization. She wants to sign up for a committee online. A young professional who loves social media, signs up to attend your fun run and wants to easily spread the word to his friends. He looks to interact with your organization by messaging you on social media and making comments on your Facebook events page. A widow whose family has been touched by your mission wants to set up a scholarship fund in her husband’s name. She prefers to call a development staff member. Not every organization has the staff to answer calls, execute and respond to social media posts and create volunteer forms. Consider focusing on what your organization can do well. For example, if you don’t have someone who can respond on Twitter, it’s best to not establish a Twitter profile in the first place. Offering to invoice your corporate donors. Enabling more frequent, smaller donation options. Allowing a combination of one time donations, sustaining donations and open-ended amounts. Developing a sustained membership level for a specific cause within your charity. Creating a crowdfunding campaign to fund a specific project. Allowing donors to send money via apps they already use such as Venmo. Responsive (sometimes called mobile-friendly) websites automatically adjust the appearance of web pages in response to the size of the phone screen or web browser of the website visitor. 51% of people who visit a nonprofit’s website do so on a mobile device. While many organizations have a responsive website, some have donation management software that is not responsive and creates frustration with tiny, often unreadable text. Open a donation page on a desktop computer using a browser such as Chrome. Grab the right side of your browser window. Make the browser about as narrow as a phone screen. Does the content adjust to the width of the narrower browser window? Or does a scroll bar appear at the bottom of the browser window to allow movement right and left to view the whole page? If the answer is A, then congratulations -- your site is responsive! WordPress is the most popular CMS. WordPress is used by more than 60 million websites, including 30.6% of the top 10 million websites as of April 2018. Sites built with WordPress, which may be responsive or not depending upon the theme that is used. All of the D5 Creation Themes are Responsive. D5 Creation has a Popular Non Profit Organization Theme Socialia. It’s important that every aspect of your online interaction with donors is responsive. Research shows that 54% of nonprofit emails are read on mobile. Quick Quiz: What describes your charity’s ability to send mobile-friendly email? Our donation software makes it easy send mobile-friendly emails. Our system can create mobile-friendly emails, but it is easy to “break” the template and send something that doesn’t look good on mobile. Our system needs a programmer to customize our template to make it mobile-friendly. I don’t know if what we are sending works on every mobile device. Let’s hope that your answer is #1. While most nonprofits have SSL certificates for their websites, some sites or pages within sites might be only partially secure. A certificate allows you to have https in your web site URL vs. http. If your site has images or content that isn’t secure, users will not see the secure "Lock" icon on the web browser on those pages. Security not only establishes trust in the transaction process, but secure sites are also favored by Google. Secure sites rank higher in search engine results than sites that are not secure. Let’s do a mini audit in three steps. Pretend you are a donor who wants to sign up for a recurring donation. Go to the homepage of your nonprofit website and count how many clicks it takes to get to the appropriate donation page. Ideally it should take one, maybe two clicks. Next, look at your online donation form. Are you asking for a bunch of demographic data? Every field you ask your donor to fill in reduces the chance that they will complete the form. Eliminate any fields you don’t truly need. Look at your donation form on a smartphone. Are the fields and buttons large enough to be readable? Are they easily clickable if you are using your thumb to navigate? Infographics are your friend. You can find some ideas from different sites to think of infographics that can more quickly tell your web visitor why they should support your organization. Be careful designing infographics -- make sure the overall message can still be understood when the graphic is viewed on a smartphone. They often look generic, which makes your web site visitor feel less of a connection to what makes your organization unique and worthy of their attention. Websites look less professional when they have a hodgepodge of photographic styles. If you look at large organization’s web sites, it often looks as if the same photographer took every picture. The lighting, tone or color pallette may be similar. Enlist a designer or colleague with a good eye to pick out photos that have similarities. Your site will look much more professional for it. What action you want them to take. The information that they report back can be enlightening. Make adjustments as needed. Want to Learn More ? More than Charities and Nonprofits Marketing ? Charities and Nonprofits Marketing is importing for the Community Organizations. 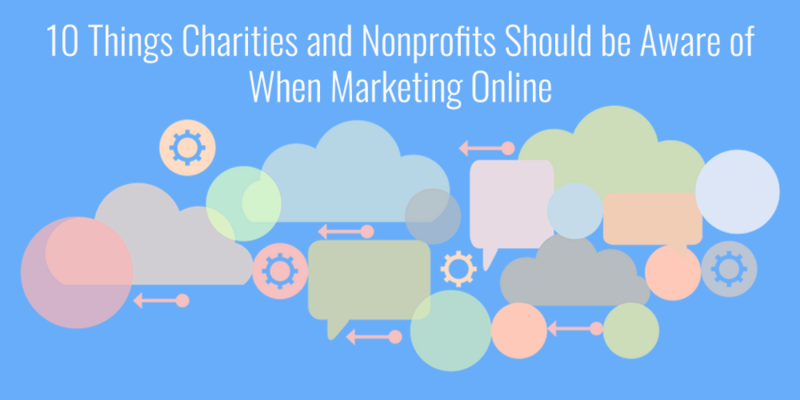 We believe that the above Article has covered the basics of Charities and Nonprofits Marketing. You may want to learn more than Charities and Nonprofits Marketing, like: Small Business Marketing. You can read more on Small Business Marketing in This Article. Amy Hufford is a Technologist at MembershipWorks. She has worked in non-profit technology for more than 20 years and has experience with a variety of donor and member management software platforms.